Quality of life in Bloomington: What needs to be done? This column was written by Dom Nozzi. He is the executive director of Walkable Streets, and has been a senior city planner for over 20 years. 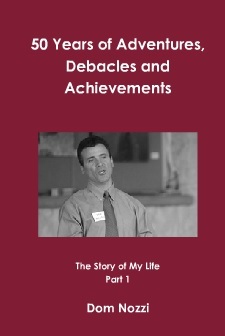 I was invited to speak in Bloomington on October 22, 2007. 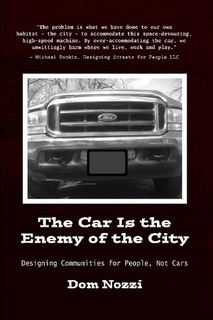 I am the author of two books on sprawl, congestion and quality of life. My expertise is quality urban design. In my 20 years of research, visiting countless cities and preparing development regulations for the “college town” of Gainesville, Fla., I learned that quality of life is a powerful economic engine that communities most effectively leverage by providing a range of lifestyle choices from walkable urban, suburban and rural. My most important realization was this: Compact, lower-speed, human-scaled walkability (particularly in a downtown) is the lynchpin for achieving a sustainable, more economically healthy and pleasant future. I was able to tour much of Bloomington while in town. It became immediately clear what measures Bloomington will need to improve its overall quality of life for its citizens, its businesses and its environment. These measures are the “low-hanging fruit” that must be incrementally achieved in the coming years for Bloomington (especially in its downtown), if the city is to realize a brighter, more prosperous and sustainable future. 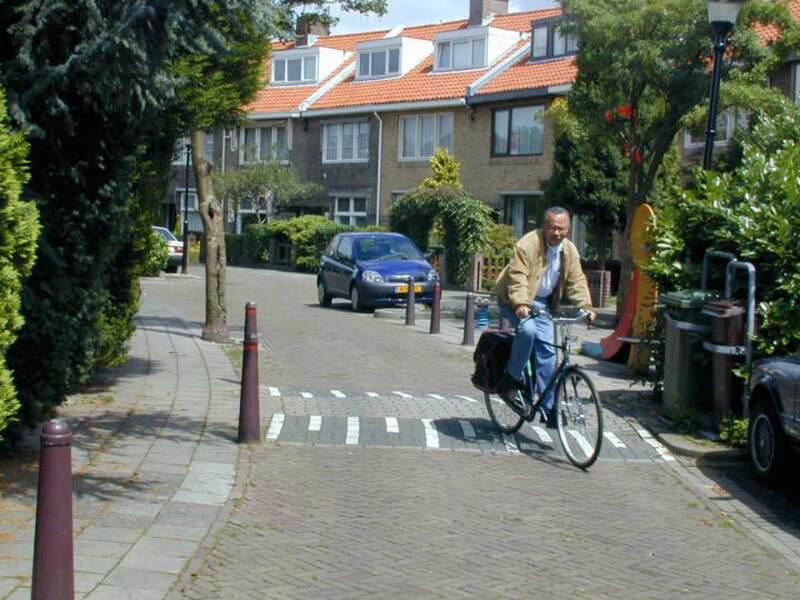 Convert one-way streets back to two-way. Creating one-way streets was popular a number of decades ago as an easy way to speed high volumes of traffic through downtown. 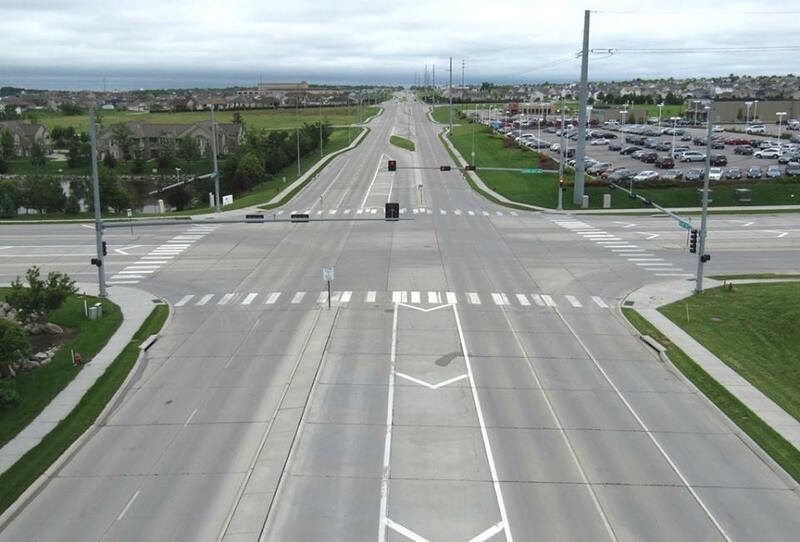 Nationally, cities are converting these back to two-way because of the obvious problems that one-ways create. One- way streets result in a significant increase in speeding, inattentive driving, road rage, traffic infractions and motorist impatience. Former “shopping streets” (often including residences) become drive-throughs instead of drive-tos. Life for the now declining number of pedestrians, bicyclists and transit users becomes unsafe, inconvenient and unpleasant. Likewise, the street loses residences and businesses due to the more hostile conditions. The one-ways also require a great deal of extra motorist travel distance due to backtracking. In a walkable location, on-street parking must be maximized. (In particular, College Avenue and Walnut Street downtown need on-street parking.) Such parking would be extremely beneficial to downtown businesses and pedestrians (the lifeblood of a downtown). By contrast, off-street surface parking must be minimized, as it creates gap-toothed dead zones that inhibit walkability, create danger zones and undercut the “agglomeration economies” (the concentration of jobs, residences and commercial) that a downtown requires for health. 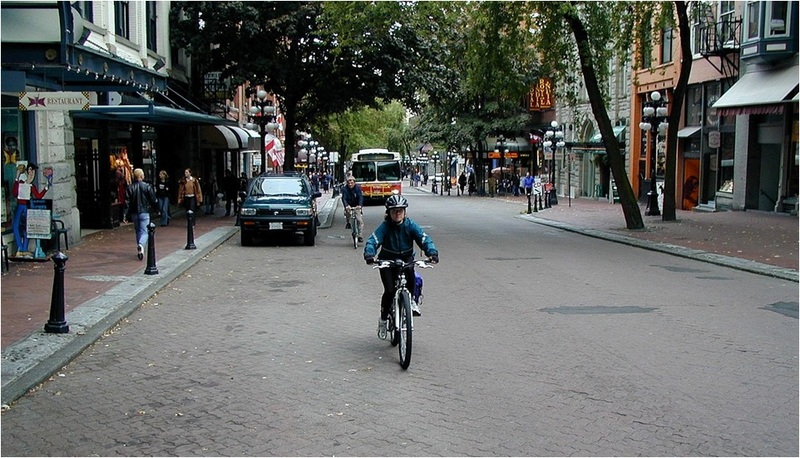 On-street parking creates safer, slower-speed, more attentive driving, provides protection for pedestrians and offers high-quality, convenient parking for retailers. On-street parking must be properly priced (targeting an 85-percent use rate), and the parking meter revenue must be dedicated to improving the streetscape in the vicinity of the meters, rather than being dispersed citywide. Convert off-street surface parking to buildings. Such parking is deadening to a walkable location, and makes retailing, office and residential substantially more costly. Surface parking — particularly when abutting streets — must be converted to active retail, residential and office buildings. Parking garages — especially when wrapped with retail — consume less parking space, and are much better for walkability than surface parking. The tragic dilemma that cities such as Bloomington find themselves in is that most all of us are forced to drive a car (and park it) every single time we travel. By providing for cars, walking, bicycling and transit become more difficult. Understandably, we are compelled to urge that conditions be improved for our cars. Wider, higher speed roads. Larger parking lots. Yet the “habitat” for cars is at odds with the “habitat” for people, as people tend dislike being near high-speed roads or huge parking lots. In the end, we find ourselves becoming our own worst enemies, fighting to improve life for our cars. 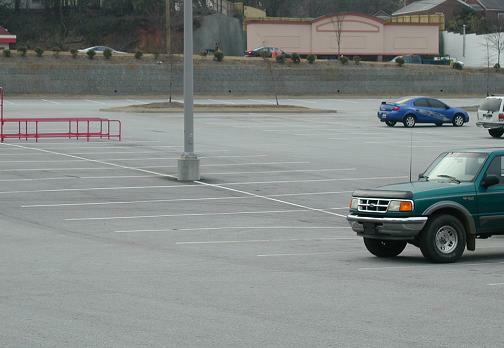 As we expand our communities for cars, the world for people shrinks. The remedy is to return to the tradition we have abandoned. The tradition of designing our communities to make people happy, not cars. Overall, Bloomington has much to be proud of. However, without incrementally taking the steps I recommend above, the quality of life for residents and retail is being severely compromised. I urge the city to start taking these steps as soon as possible.